Have you noticed how news programs use the phrase “Breaking News?” I’ve always believed that label should mean a significant, unexpected event is underway and the reporters involved are relaying information in real time. But these days every cable news channel story is seemingly labeled as late-breaking and treated as urgent. Because of this, it is often hard to see the big picture through this dense fog of arguing pundits and so-called breaking news. With the priority being to report on the immediate and instantaneous, we often miss out on stories of significance that take place over a longer period of time. One such story took place this year, and while it is rooted in partisan politics, I urge you to look past the party labels and focus on the incredible accomplishment. 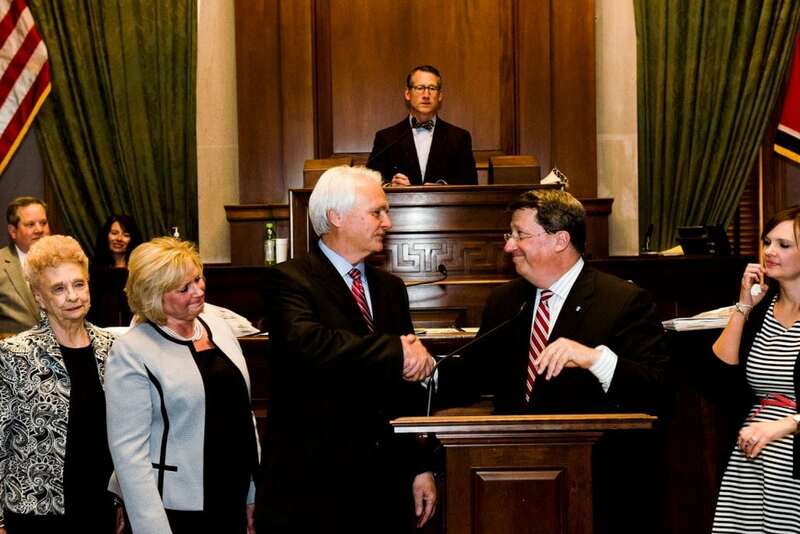 On April 22, the Tennessee General Assembly completed its work for the year and adjourned. Standing at the front of the Senate to bring down the final gavel was Ron Ramsey. As a state senator, speaker of the Senate and lieutenant governor, his presence was no surprise. However, this stroke of the gavel may have been his favorite. The story began almost a quarter-century ago when Ramsey was first elected to the State House of Representatives. As a member of the legislature in his first term, he was pretty well assured of one thing: His first day as a legislator would neither result in any accomplishments nor change the course of the state’s history. In 1992, Ramsey’s political party held very little clout in the General Assembly. And by very little, I really mean none. Republicans had not held a majority in the legislature since just after the Civil War. No Republican had served as lieutenant governor since 1869. The five-hour drive from Blountville to Nashville must have seemed a lot longer in those first years, even after being elected to the State Senate in 1996. For many in the political world at that time, the perpetual minority status of Republicans was perceived to be permanent. But little in this world is truly permanent, and Ramsey spent the next 10 years working toward an accomplishment that very few ever thought possible. In January 2007, the political winds had shifted, and Ron Ramsey was elected speaker of the Senate and lieutenant governor. The story of how this was accomplished could take up several pages of this publication, but that’s not the accomplishment I want to share with you. Ramsey then led a virtual revolution in the political makeup of the General Assembly, resulting in Republicans holding supermajorities in both the House of Representatives and the Senate. But that is not the accomplishment I find remarkable. What I find so refreshing about this story is how it ends. It does not end the way all too many do — with a scandal or an electoral defeat. When Ron Ramsey gaveled the Senate to a close at the end of April, he was at the peak of his political career with near-unlimited ability to wield his influence. Very few politicians will ever achieve the level of power that Ron Ramsey enjoyed at that moment. And like so many politicians, he desired a new position with a new title. For Ramsey, though, that new title is “Papaw.” While his position in Tennessee history is timeless, his position as a grandfather is not. So he did what few powerful politicians do, stepping aside on his own and relinquishing the leadership position he’d earned. Thank you, Ron, for demonstrating to me that no matter what our professional passions might be, our priorities should always start with the people closest to our hearts. That is an accomplishment with lasting meaning.